Though the post's title seems serious, the post in itself is not. 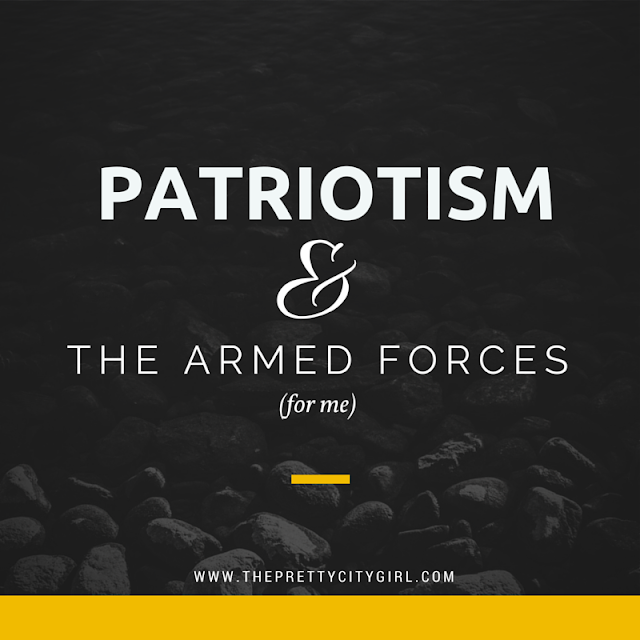 I have a liking towards the Armed Forces since childhood, and it kept on increasing as the days passed by. As it is the anniversary of some of great Indian men's martyrdom today, I thought I should write about my love for my country and the men in uniform. I am a die-hard patriotic. I love my country, and these are not mere words. There's a deep emotion behind this sentence. My mom tells me how even as a small kid, I used to stand up for the national anthem every time I heard it. I'm sure everybody in India does that, but I'm talking about those unplanned times when a movie plays the anthem, or before the World Cup cricket matches, when the anthem is being played before the game starts. When most of my family members didn't stand up during anthems while watching the movies like Kabhi Khushi Kabhi Ghum, I always used to stand up; I stand up until the end, and then with the moistness in my eyes and a sense of pride in my heart, I sit down. I don't even feel like looking at others around me. Sure, I know, everybody loves the country and respects the national anthem, but if they had shown it, by standing up straight every single time they heard it play, it would mean everything to me and the millions of soldiers who have sacrificed their lives for us. I remember, when I was in school, I had been to a movie with my friends. The theatre was houseful. I forgot the movie's name, unfortunately, but in it, the national anthem started playing all of a sudden. After initial few seconds, I stood up, and went near the passage to stand erect. Slowly, as people realized the anthem was getting fully played, everybody in the theatre stood up! I was the happiest kid in the whole theatre that time! I of course know, if you don't stand up for national anthem, it isn't anything as if you disrespect it. You can respect it, even after sitting down. However, standing up just shows that you respect, and if anybody in the vicinity doesn't, he would realize its importance too. As a child, India's cricket matches used to be a fun-filled roller coaster and without any doubt, a chance to actually cry or rejoice for our country's indirect achievements. Ah! I remember; the last overs of the match...I used to sit in front of the God, and cry, and prayed that He did some magic to make India win. Cricket brought all the people from the country a lot closer. I love all the fellow citizens. I love people from all the religions and castes and languages; and if they belong to a community outside mine, I take too many efforts from my side to befriend them. I feel good to befriend them, especially if they belong to some other religion. Lastly, the undying love for the Armed Forces. My dad was in the Navy, and it didn't help me to fall for the forces, as I happen to love the forces just simply like that. You have no idea how proudly I say my dad was in the Navy; it feels as if I myself was in it. I respect the men in uniform, and when anybody argues over anything against them, I'm the first person to take the stand. Sure, what's wrong is wrong...but when people generalize the whole forces for one incident, it drives me nuts. And yeah, I would love to marry a person from the forces. I would not actually hunt for such a man, but if I come across one, I'm sure to fall in complete love with him.